A pencil drawing of the precipice walk Dolgellau, North Wales. 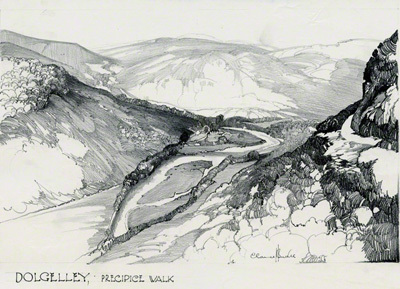 Claude Buckle's pencil drawing of the Precipice Walk in Dolgellau. Notice the english spelling of Dolgellau drawn on the picture. All maps now show name places in Welsh. The Precipice Walk is one of the famous attractions of Dolgellau, North Wales in the Snowdonia National park. Precipice Walk is a 3 mile route passing through an interesting variety of habitats which include deciduous woodland, a conifer plantation, meadows, lakeside and sheep-walk. It’s a fairly level walk and suitable for all the family. The starting point is the National Park car park at Saith Groesffordd, 2 miles from Dolgellau. This is still a popular torist destination with incomparable views down the Mawddach Estuary. Created in 1933. 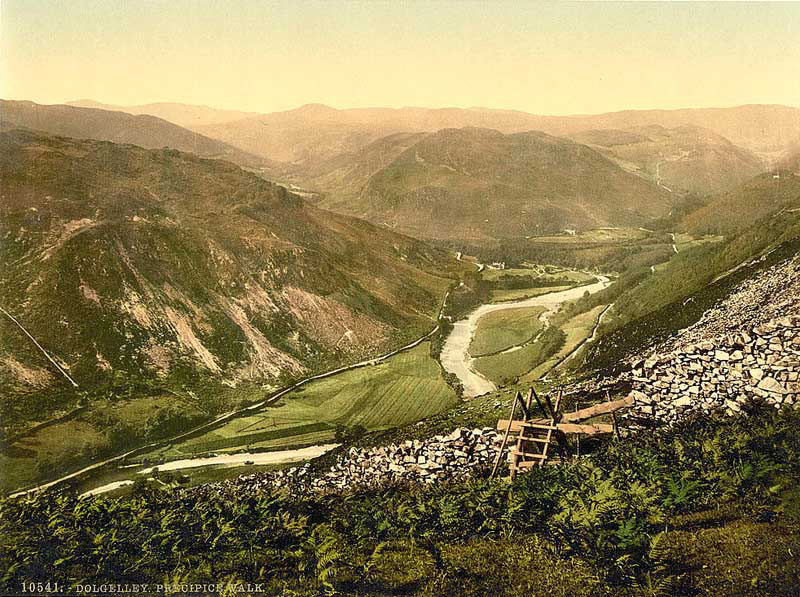 Photograph of The Precipice Walk one of the famous attractions of Dolgellau, North Wales.